Alright, everyone… the final workout has been released! It just happens to be the same workout that ended the Open last year. Interesting, huh? My advice and strategy video is featured below. GOOD LUCK!! I had to give it a go last night because I leave for the airport in a few minutes for a weekend trip, so here is that attempt. I checked my score from last year after I had completed it, and I actually got two MORE reps last year…. not exactly the improvement year-over-year I was looking for, BUT I don’t think I paced myself properly last night. 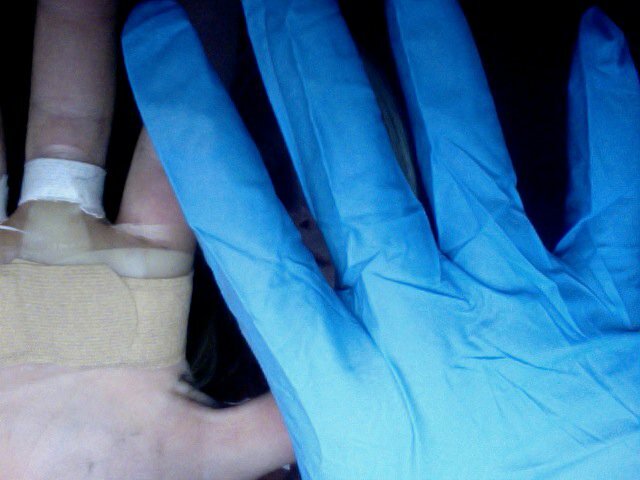 Here’s to hoping I get around to trying it again, and can get a few more reps if I do! Well folks, the Sport of CrossFit is turning heads yet again. This time, on a slightly larger scale. From 5 years ago where the “CrossFit Games” were held on a ranch in Southern California with a few people, to all but selling out the Home Depot Center in Carson, California, CrossFit is about to receive a pretty grand stage to showcase what we’re all about. 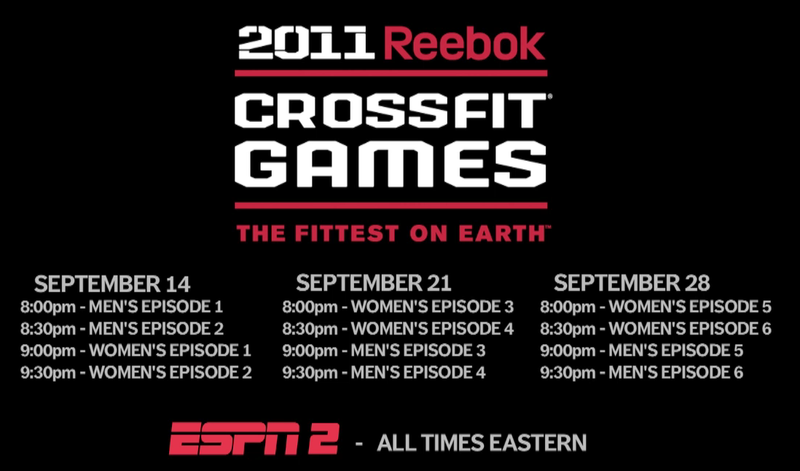 Starting TONIGHT Wednesday, September 14th, a recap of The 2011 Reebok CrossFit Games will be televised on ESPN2!! Check out the video below showing what it will be all about, and the TV schedule I pulled from the official video. This is going to be SO COOL! Now, part of “our story” will be put out there for thousands (millions?) of other people to see. First, Reebok partners with CrossFit and starts to release a CrossFit-Specific clothing line. Now, ESPN2 Prime Time Coverage for 2 weeks in a row? Get ready for the next big wave, people. I told you we were going to take off. It’s rare that I’ll post 2 “Moment of Awesomeness” posts on the same day… but I think you’ll see why I shared this one! For those who think “CrossFit isn’t for me,” I would just urge them to watch this incredibly inspiring video of the 2nd Fittest Woman in the WORLD in her age bracket, Darlene Price! Stories like these are my favorite part of CrossFit, hands down. Thanks to CrossFit Austin for putting together this awesome video, and thanks to the SICFIT Crew for sharing it with more CrossFitters. Yeah. The next big thing just happened to CrossFit. ESPN3 is on board as the site that will officially stream the 2011 CrossFit Games in Carson, CA, this coming weekend. This should give so much more exposure to the “Sport” of CrossFit that has already been blowing up in popularity around the world. Click on the link below and bookmark it, because in less than a week, it’s on! CrossFit is the truth, people.